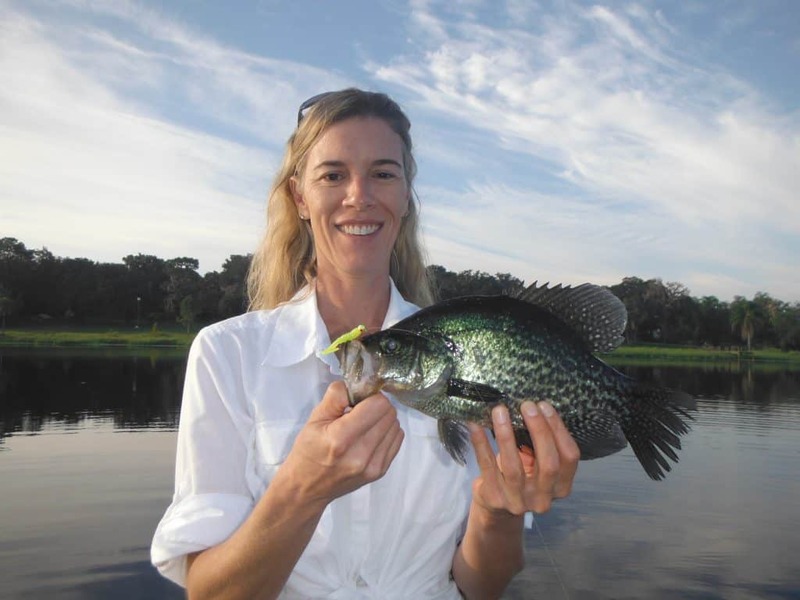 Anglers who like freshwater fishing will enjoy Sarasota crappie fishing. Most visitors naturally associate Sarasota was saltwater fishing. However the Sarasota Bradenton area does have some good and really overlooked fishing. Several area watersheds offer good fishing for bream (that is southern for bluegill and other panfish), crappie, catfish, and bass. The three dominant river systems in Sarasota County and Manatee County are the Manatee River, Braden River, and Myakka River watersheds. All three are similar in that they are freshwater streams which have dams that created reservoirs. The water upstream from the dams is totally fresh, while the portion downstream from the dams is tidally influenced. This creates a really interesting fishery, where bass and panfish mix it up with snook and other saltwater species. Lake Manatee differs from the other two and that the water release can be controlled at the dam. Lake Evers on the Braden River and Lower Myakka Lake are very simple weir dams. The water level in lake Manatee varies quite a bit depending on the release of water. The water level in Upper Myakka Lake inside of Myakka River State Park fluctuates greatly and is entirely based on rainfall. Lake Evers is quite deep and is a bit more stable due to that factor. All three lakes have paved boat ramps for voters to access the lakes. Lake Evers and upper Myakka Lake are idle speed only lakes. Lake Manatee has no speed restrictions but does have a 20 hp limit. This results in all three lakes having very little recreational boat traffic and wakes from other boaters. The same techniques produce crappie in all three lakes. Some anglers use live bait with the Missouri minnow being the most popular. These minnows are commercially grown and are very hardy. They will live all morning in a small bucket of water. They are fished on a #4 hook either under a float or with a light weight to take it to the bottom. Many anglers, myself included, prefer to use artificial lures when targeting crappie. By far the most popular and effective lure is the jig. Tiny spinner baits can also be effective. A unique and very effective bait is the Blakemore Roadrunner. It is sort of a hybrid between the two, with a jig body and a spinner blade coming off of the eye of the hook. Florida waters are generally speaking very dark. They are tannin stained and the color of root beer or coffee. Therefore, brightly colored jigs are generally the most productive. Pink, chartreuse, and white are the most effective colors. Often times, a combination of colors works best. For example, a white jig head with a chartreuse curly tail grub body is one of the most effective combinations. A good approach is to use several different colors and see if one pattern emerges as being more effective. 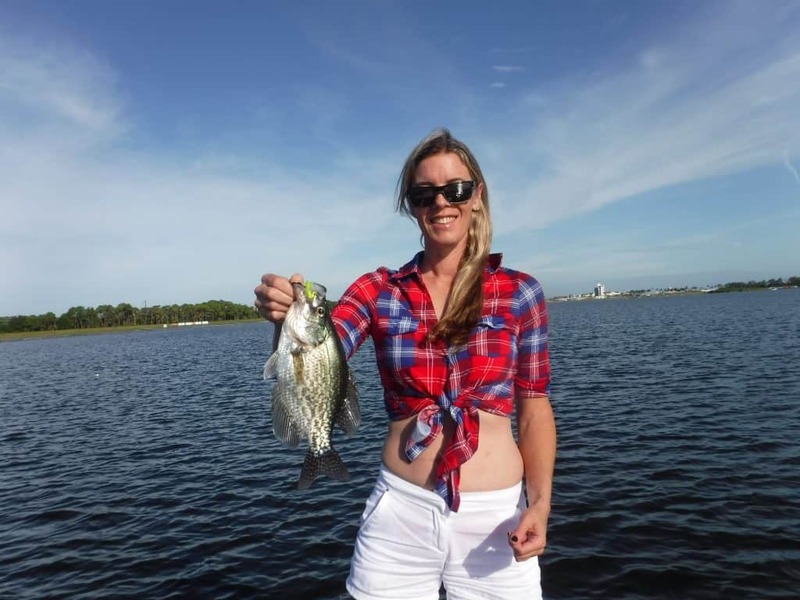 Anglers who get up early will be rewarded when crappie fishing in Sarasota. For the most part, the first light bite is best. This is not always the case but is a good rule of thumb. The two basic techniques when targeting crappie are to cast lures or bait out or troll. Both can be effective, depending on conditions. We start crappie fishing here in Sarasota in early October. Fish can be taken all year long, but October through March are the prime months. The first cool front or two will have the crappie schooling up. Both lake Manatee and Lake Evers are fairly deep. Crappie will generally school up on the edges of the channels and and deep water over structure. Myakka Lake is quite shallow with the constant depth being 3 to 5 feet depending on lake level. Trolling is fairly simple and deadly effective. On shallow Myakka Lake the bait is cast out 30 feet or so behind the boat. The boat is then idled along using the gas or trolling motor at a slow speed until fish are located. In the deeper Lake Manatee and Lake Evers, trolling is a bit more nuanced. Crappie will relate to the channel edges. Therefore, zigzagging over the channel edge is the best approach. Vary lure selection and speed until a productive pattern emerges. Often times the fish will hit on turns. Slack line will cause the lure to fall, then jerk up as the slack is removed. This often times triggers a bite. By late December or early January depending on the weather, the crappie will have moved up to the bank. Trolling the banks can still be effective. However, many anglers choose to cast to the bank. They can do so using the same artificial lures or live minnows under a small float. Successful anglers actually use both techniques. They will troll was shoreline until a school of fish is found, then use the live minnows to catch the fish I have located. This is a common technique used and saltwater fishing that works quite well and freshwater also. Shore bound anglers usually opt for live minnows, using several rods out in a spread. Florida does not limit the number of rods that can be used in freshwater. The top artificial lures are jigs, small spinner baits, tiny plugs, and Roadrunners. A 1/16 ounce marabou jig or jig head with a twister tail or shad tail body is preferred. Chartreuse is a great color and has proven to be a great lure for crappie along with bluegill and small bass. White works well, too. My personal favorite spinner bait is the 1/16 ounce black Beetlespin. This lure has caught many fish for me and clients over the years. The grub body is very simple, but is effective. A tiny spinnerbait with a chartreuse twister tail grub is a good choice as well. 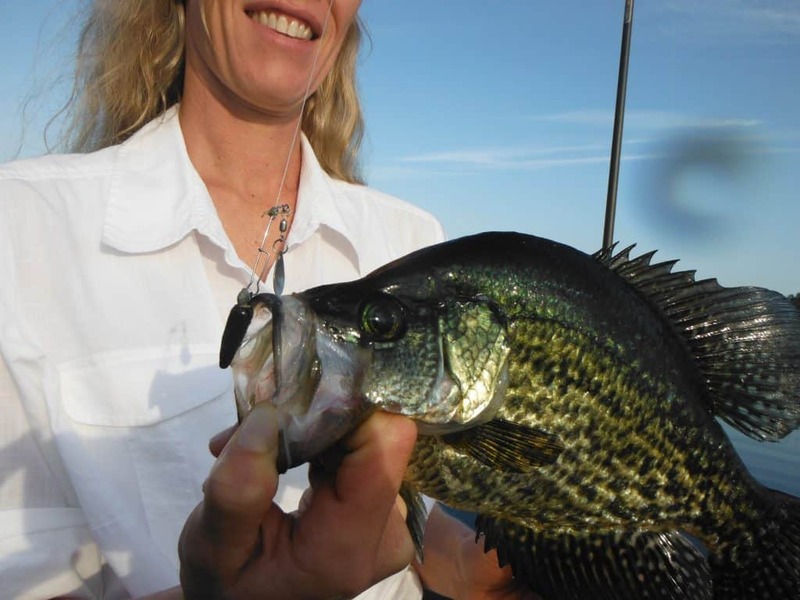 Tiny plugs work well for anglers Sarasota crappie fishing, too. They are very effective for trolling in shallow water as they only dive a couple of feet down. Plugs also tend to catch larger fish. They also work well on small bass and big bluegill. Anglers do have to deal with treble hooks. Roadrunners are another bait that is both a jig and a spinner. It has a jig head, with 1/8 ounce and 3/16 ounce are the best sizes. A grub body slides on the jig. A spinner blade comes off of the head hear the eye of the hook. This results in a compact bait that casts well, gets down deep, and has a lot of color and flash. Fly anglers can certainly enjoy crappie fishing along with the spin fishermen. A 3wt or 4wt outfit is perfect. Anglers can use a floating line, but an intermediate sink tip line works better. Small bait fish patterns in white, gold, and chartreuse tied on #6 hooks are a great choice. Fly fishing for crappie is best when the fish move shallow to the banks. Lake Manatee: This lake is several miles long and sits 10 miles east of the interstate. There is a very nice boat ramp located in Lake Manatee State Park There is also a primitive ramp near the fish camp just off of the State Road 64 bridge. 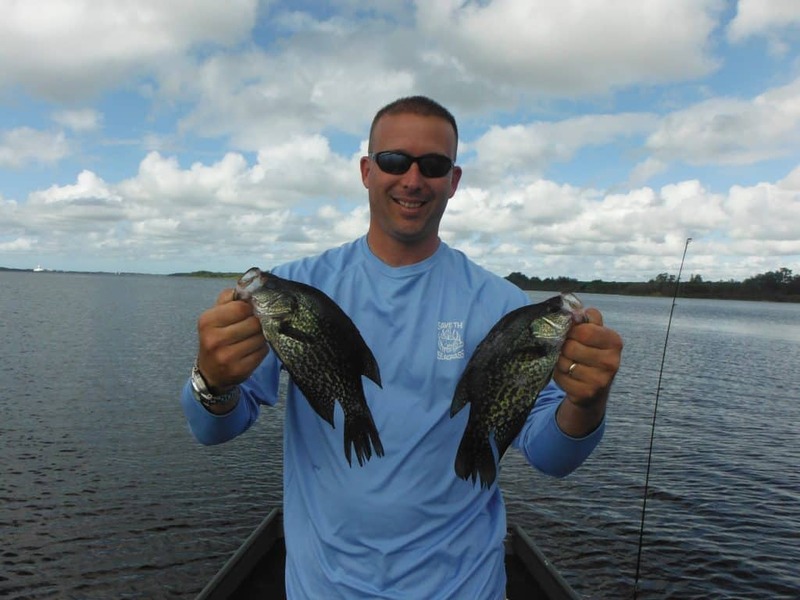 The Manatee River below the dam offers very good crappie fishing. However, access is difficult that time of year as the water level is low. Evers Lake: Also known as Ward Lake, this lake is conveniently located in Bradenton just off of State Road 70 and west of the interstate. There is an excellent ramp at Jiggs Landing, which has bait, tackle, and facilities. Upper Myakka Lake: This lake sits 10 miles east of Sarasota off of State Road 72. It is shallow with a decent ramp, suitable for boast bass boats as long as the water is up a bit. Anglers should call the park to make sure the ramp is open. The river inside the Myakka River State Park has some deeper holes which are great for kayak and canoe anglers to target crappie. Benderson Lake: This lake was renovated to create a world class facility for rowing competitions. It is a reclaimed strip pit with a good population of larger crappie. It is electric motor or paddle only. There is a good ramp at the south end of the lake. 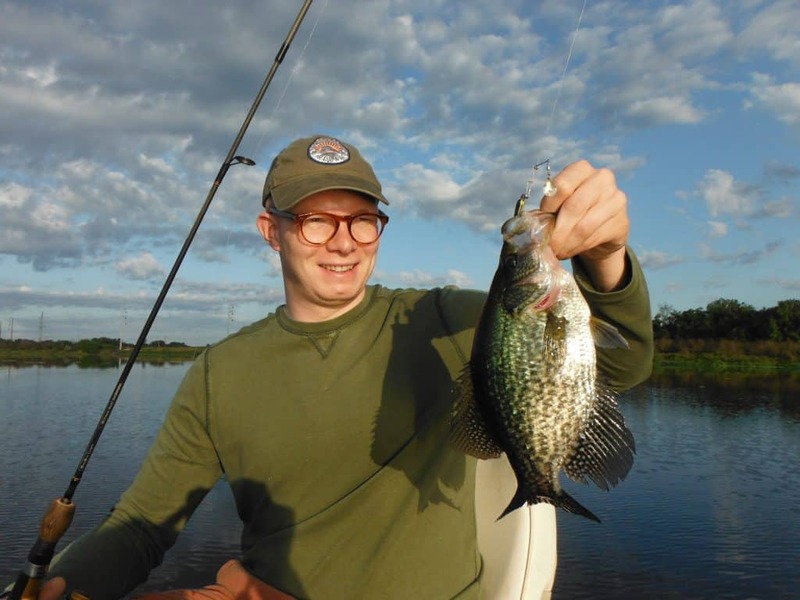 Next time you are looking for a different Sarasota angling experience, think about giving crappie fishing a try. Expect some fun, cool scenery, and some good eating! Give me a call if you want to go on a crappie fishing charter.